The actor invited criticism from the women's organisation for his remark" if the woman is bad, maybe they will go to bed". malayalam actor innocent at the press conference. 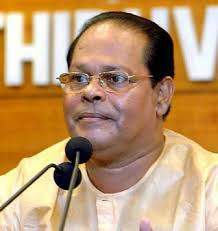 THRISSUR: Actor and Lok Sabha member Innocent on Wednesday said the Malayalam film industry is "clean" of the casting couch. But a distasteful remark made by him regarding "bad women" created a furore among the newly floated Women's Collective in Cinema (WCC). Innocent spoke about it while answering a question at a press conference held here on Wednesday to deny media reports that he is quitting as president of the Association of Malayalam Movie Artists (AMMA). "The Malayalam film industry is clean now and no such thing as casting couch exists in the industry... It is not like the yesteryear. The situation today is such that if there is any bad behaviour towards any women, the media will know immediately," he said, adding: "But if the woman is bad, maybe they will go to bed". Following this remark, the WCC slammed it through their Facebook page. "Even though we thank Innocent for the nice words he spoke about WCC, we are forced to strongly disagree with his remark that casting couches no longer exist here. "Very recently only, our own members Parvathy and Lakshmi Rai have all spoken loudly on this topic. We want the newly appointed Justice Hema Commission to study the issues of women in the film industry to look into this aspect also," read the post. WCC was formed last month by the women working in the various departments of the Malayalam film industry. It is led by actress Manju Warrier. Bindu Krishna, state president of the Mahila Congress -- the women's wing of the Congress party -- said Innocent's statement is a shame and an insult to Kerala. "Through this statement, he has proved that he does not have any respect and his position as AMMA president is not tenable. AMMA should be disbanded. For that, all those who have self respect, should come forward," said Krishna.